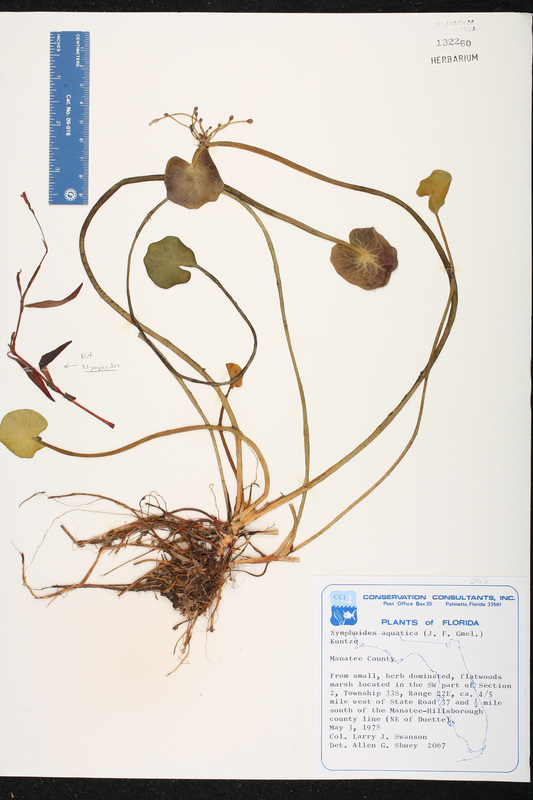 Locality: United States, Florida, Manatee Co., Ca. 0.8 mi. W of FL 37 and 0.5 mi. S of the Manatee-Hillsborough County line (NE of Duette). T33S, R22E, Sec. 2. Habitat: From small, herb-dominated flatwoods marsh.